Spanning the East River are the Brooklyn and Manhattan Bridges; monolithic testaments to human ingenuity and perseverance. On one of the longest days of the year, with a full moon overhead, I endeavored to capture the iconic scene from the water. 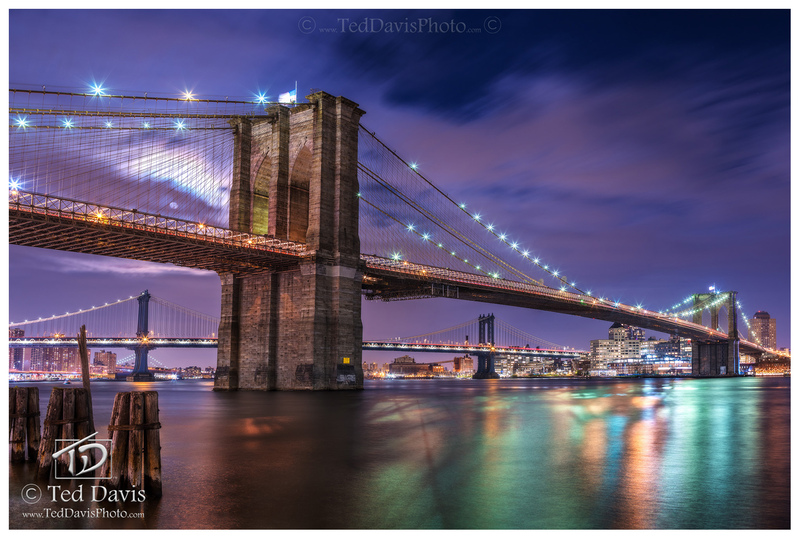 The glow of the city lights cast an incredible aura over the scene as captured the two bridges in their winter majesty. Photo © copyright by Ted Davis.